SAN FRANCISCO—At its public meeting on August 20-21, the Judicial Council will consider guidelines that would provide the courts and counties direction on how to carry out an 18-month traffic amnesty program for unpaid traffic and non-traffic infraction tickets. The amnesty program―called for in the fiscal year 2015–2016 state budget and which starts on Oct. 1—will help qualifying individuals by reducing their outstanding court-ordered debt by 50 or 80 percent and making it easier for drivers to have their suspended licenses reinstated. The proposed guidelines have instructions for courts and counties on eligibility, costs, payment plans, third-party collections, and other steps necessary to carry out the program. Facilities: The council’s Trial Court Facility Modification Advisory Committee recommends allocating the $65 million appropriated by the Legislature for courthouse modifications in FY 2015–2016, which will only cover emergency and critical needs. The council will also receive reports to be submitted to the Department of Finance on unmet facilities needs: a report on deferred maintenance for California’s courthouses that identifies more than 2,500 needed fixes worth $2.1 billion; and an annual update to the judicial branch’s five-year infrastructure plan that lists 100 unfunded court construction projects. FY 2016–2017 Budget Proposals for Judicial Branch: The council will consider fiscal year 2016–17 budget change proposals for the Supreme Court, Courts of Appeal, Trial Courts, Judicial Council, Judicial Council Facility Program, and Habeas Corpus Resource Center. Public Access to Meetings of Council Advisory Bodies: The council will consider a report on the impact of the rule enacted last year expanding public access to meetings of council advisory bodies. The report shows that out of 293 meetings held during the first year, 51 percent were opened to the public, including all meetings related to court funding. The meetings closed to the public fit into one of the exemptions outlined by Rule 10.75, of the California Rules of Court. Distinguished Service Award and Aranda Access to Justice Award Ceremony: At a special ceremony following the first day of its Aug. 20–21 meeting, the council will honor the recipients of its annual Distinguished Service Award. 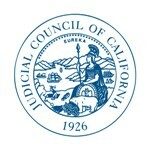 Additionally, the Judicial Council, California Judges Association, State Bar of California, and Commission on Access to Justice will jointly confer this year’s Aranda Access to Justice Award. Updates From Council Liaison Visits to Local Courts: The council is scheduled to receive liaison reports on the superior courts in Del Norte, Humboldt, and Monterey Counties (liaison reports are subject to change). These reports give council members information on a court’s operations and challenges, as well as its solutions to increase efficiency and effectiveness in how it provides access to justice for the public.